LEXINGTON, Ky. — Mitch McConnell squared off against Donald Trump for control of the Kentucky delegation that will help pick the Republican presidential nominee, and McConnell won. 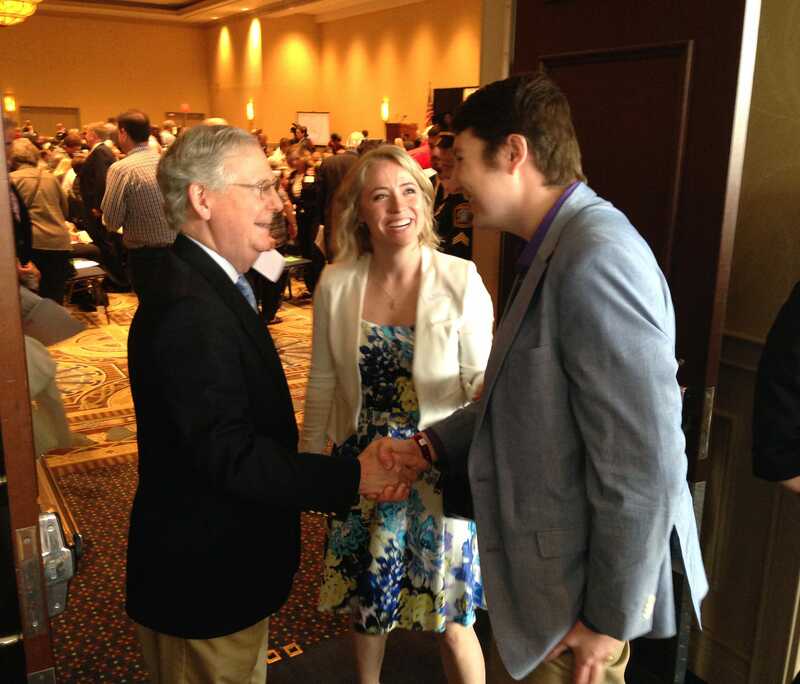 The Senate majority leader, who hails from Louisville, heads the slate of 25 delegates picked by the Kentucky GOP at its state convention Saturday. 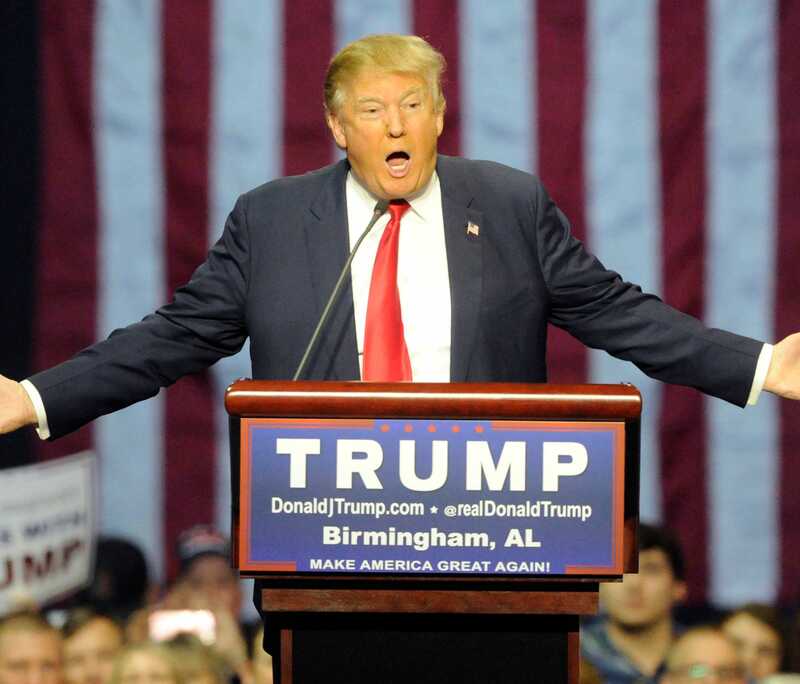 A majority of Kentucky Republicans backed Trump in their March 5 caucus. But party leaders retain control of a majority of the state's delegation, requiring state convention attendees to approve the list of names on an up or down vote. This proved bad news for Trump. Many Republicans said the slate picked Saturday excluded supporters of the billionaire businessman. If the Republican front-runner doesn't win a majority of state delegates by the July national convention, the Kentucky delegation could vote for someone else. They're only bound to follow caucusgoers' wishes on the convention's first ballot. After that, it could be anyone's game. The Republican candidates are fighting for delegates in a state-by-state battle that will shape what could be a contested national convention. Trump supporters were livid at the party's delegate engineering. Tim Nolan, a former judge and current chairman of Trump's campaign in Campbell County, joined a group of Republicans that tried to remove McConnell as a delegate. "There's a concerted effort to try to keep Trump from gaining his rightful place as our nominee and he may not be supported by these delegates even if he was our nominee," Nolan said. Perry Brantley, Trump supporter and state convention delegate from Barren County, didn’t leave the state convention happy — but he didn’t expect to. Party insiders engineered the delegate-selection process to freeze out ardent Trump allies and squelch dissent, he said. Exhibit A: They refused to disclose the names on the delegate slate until just before the convention vote. The Kentucky Republican Party has yet to release its list of delegates, only reading them aloud at the convention. The party won't release the list for 24 to 48 hours to "fact-check" names, Republican Party of Kentucky Chairman Mac Brown said. Many in Northern Kentucky also felt excluded. None of the 25 delegates are from Northern Kentucky, but some of the alternate delegates are. "They're McConnell people," said Pat O'Reagan, a Boone County Republican. The committee to nominate the slate included longtime McConnell aide Terry Carmack and former Republican Party of Kentucky Chairman Steve Robertson. "Just by looking at that kind gives the impression that there are already backdoor deals being made," said Phyllis Sparks, an alternate delegate from Boone County. This contrasts with McConnell's speech before the convention, where he assured everyone nothing was being decided behind closed doors. Many of the delegates, when asked by The Enquirer on Saturday, wouldn't say who they would support in a contested convention. The 25 picked at the convention will join the 18 already selected in the six congressional district conventions and three delegates who automatically get chosen by virtue of being party leaders. Representatives for Trump, Texas Sen. Ted Cruz and Ohio Gov. John Kasich were at the Lexington Convention Center on Saturday speaking with delegates. Those from the Cruz and Kasich campaigns praised the delegate list. Kasich's Kentucky director, Joel Adams, said he didn't hear any Trump supporters among those chosen. "For the most part, everybody in there is focused on 'How do we beat Hillary Clinton?' " Adams said. "And I think that serves the message the Kasich campaign is putting out right now." Kasich wouldn't likely get the support of Kentucky Auditor Mike Harmon, one of the delegates. The top two candidates are most likely to get his vote. He said he personally supports Cruz. "I think whoever wins needs to be the first or second number of delegates," Harmon said. "I'm not going to say I would completely eliminate that. Just for the sanity of the party, I think it's important we nominate somebody that has a majority share of the delegates." Gov. Matt Bevin is one of the delegates and wouldn't commit. Bevin, in his speech, warned the crowd not to give in to flashiness and that “all that glitters is not gold.” Instead, he urged delegates to support a candidate who has shown consistency. After his speech, he wouldn’t tell the press who he’d vote for in a contested convention. He denied that his speech about consistency was a subtle warning against Trump. The different factions — establishment, Tea Party, Donald Trump supporters, Ted Cruz supporters — of the Republican Party were present Saturday. Trump won the Kentucky’s March 5 GOP caucus, getting 36% of the vote to Cruz’s 32%. Marco Rubio and Kasich split the remainder. Based on voting results, front-runner Trump won 17 out of Kentucky’s 46 delegates in the caucus. Cruz won 15. Rubio and Kasich each won seven. The split represents the ongoing battle in the Kentucky Republican Party. Saturday's convention was just the most recent fight. "It's blood sport," said Steve Frank, a Covington City commissioner and delegate from Kenton County. "It's a boxing match. It's a football game. I can tell you this, the game won't be over after today. This is just a continuation of a fight that's been brewing for the last six years."